These cards are individually hand-painted by disabled artists from CEOLI, a Center providing therapy, basic living skills, medical treatment, nutrition, education and vocational training to approximately 200 disabled children and young adults in Cochabamba, Bolivia. A short biography of the individuals currently involved in card production follows. 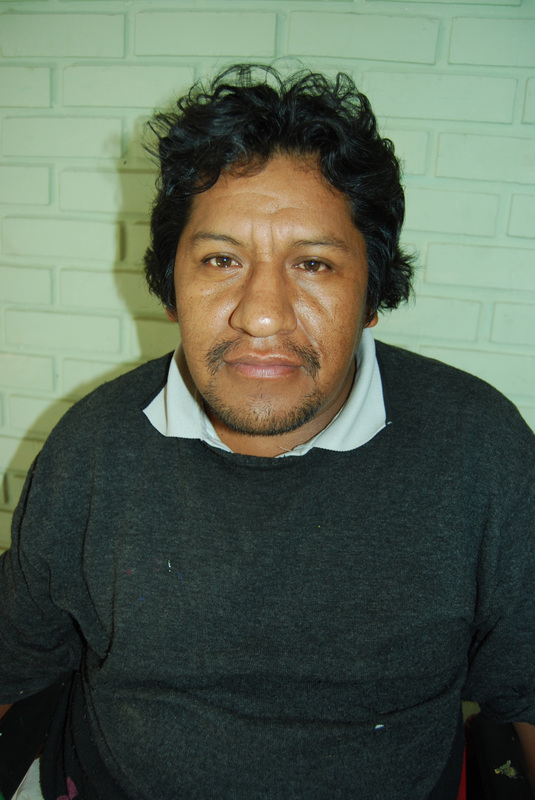 Alfredo Baldelomar is one of the original group of painters of CEOLI cards. 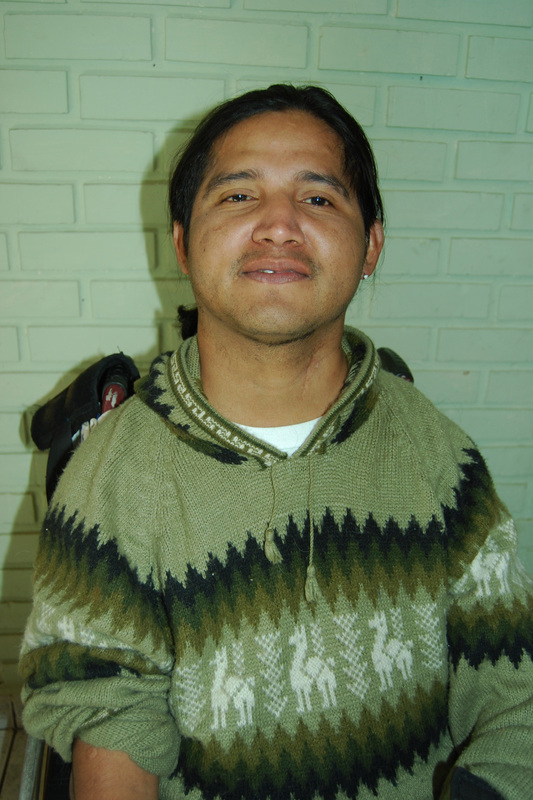 He was born in 1974 in Cochabamba, Bolivia, and is the oldest of 3 brothers. He is paralyzed due to an accident, and is confined to a wheelchair. Alfredo has some high school education. He currently lives in a group home for the disabled. Alfredo has always loved painting and art since he was a child. In addition to drawing and painting, he loves reading magazines and listening to music. But painting is his passion. He hopes some day to be a professional painter. In addition to painting CEOLI cards, he has learned to paint ceramics, and is learning to paint on fabrics. Limber Castro is one of the original painters of these cards. He was born in 1981 in Cochabamba, Bolivia. He is the third of seven children, with 3 brothers and 3 sisters. Due to a diving accident in his early teens, he is quadriplegic and confined to a wheelchair. He paints these cards by holding the brush between his teeth. Limber has loved drawing and painting since he was a child. He also loves music. Limber lives in a group home for the disabled. He graduated from high school several years ago, and is currently a law student at the University Mayor of San Simon in Cochabamba. His ultimate goal is to become an attorney and to specialize in helping the disabled. He would like others to know that his disability has not kept him from continuing his studies; on the contrary, it has given him even more strength to pursue his dreams. 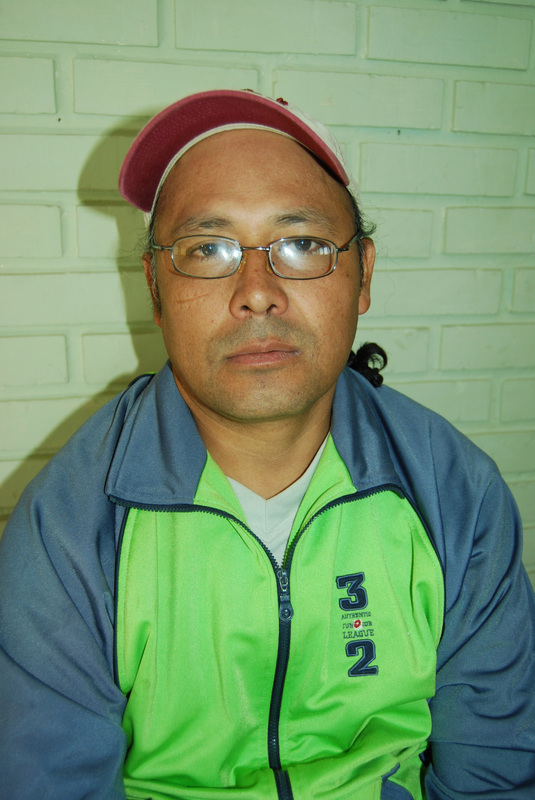 German Quispe is a long-time painter of CEOLI cards. He was born in 1974 in Cochabamba, Bolivia. He has an elementary school education, and is paraplegic. He has a teenage son and a teenage daughter, and the income from painting CEOLI cards helps support them and provide for their education. German’s hobbies are drawing, painting and listening to music. German loves to paint these cards and to have people recognize and appreciate his work. He would like to become even better known for his painting some day in the future. He would like others to know that his disability does not keep him from attaining his goals. Jorge Sandro Peredo has been painting these beautiful cards for several years. 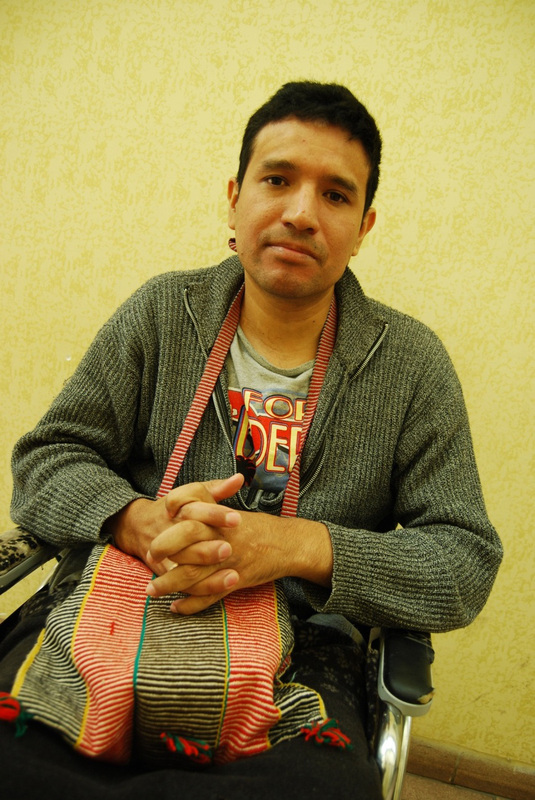 He was born in 1975 in Cochabamba, Bolivia, and is the 10th of 11 children. He received a university education, and was an agronomist prior to a car accident which left him partially paralyzed and confined to a wheelchair. Jorge is married and has a young son and daughter. Jorge loves to paint, and says it lifts his spirits. He also loves caring for plants and animals. He would like to be able to return to the profession of agronomy some day. He would like others to know that there are many obstacles and setbacks in life, but that we can overcome them with hope and faith and the blessings of God. The young artists who created these cards are from 10 to 15 years old, with physical disabilities such as cerebral palsy and spina bifida, as well as developmental disabilities such as Down's syndrome. Through this card making program, the children learn to express their emotions and artistic abilities, and develop their fine motor skills using various techniques - colored pencils, watercolor, finger painting, etc. The cards are free style, so some cards may be similar, but no card is exactly like another. Differences in cards may also be due to differences in age and type of disability. All money earned from these cards goes to CEOLI and provides materials and equipment to directly benefit the children.